Depending on the requirement, situation and the type of material, Eddy Current, Magnetic Flux Leakage and Ultrasonic testing methods can be used together or alone to inspect round and square bars for defects and integrity. These inspection methods can be applied to carbon steels, stainless alloys, aluminum, titanium, and all other non-ferrous metals. 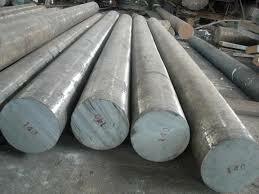 Bars can be as rolled, peeled or drawn and surface improved. Many bars will have some surface seams that need to be detected. 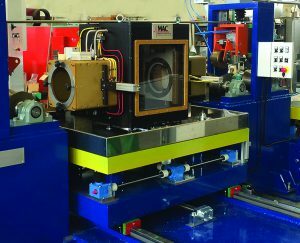 Seams are normally longitudinal in nature and the spinning EC probe method is the best technique to detect surface seams. Seams on the order of 0.15mm (0.006”) can be detected in as-drawn material. If the bars are surface improved, it is possible to detect shallower seams because of the higher quality surface. Some seams and cracks that are present may not be detected using surface eddy current testing if the bar surface is in compression caused by the bar processing method. 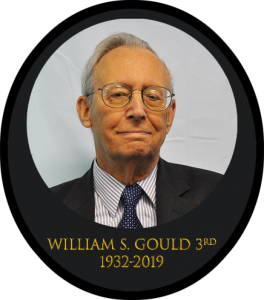 Solid material can have internal discontinuities and inclusions from a variety of sources. The Ultrasonic method can detect small internal reflectors equivalent to any quality level of AMS-STD-2154. 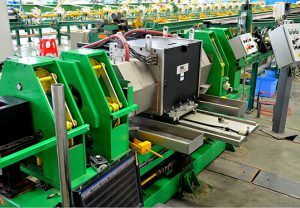 The material processing method and material quality strongly determine the possible inspection level. Stainless material with no magnetic properties can sometimes benefit from being tested with the shear ultrasonic method to detect shallow seams or subsurface defects or any seam depth for that matter. Flux Leakage AC Method for Testing BarsHighly sensitive Flux Leakage AC technology is now available for hot rolled black steel bar, which has surface conditions that used to make finding shallow defects very difficult, if not impossible. AC Flux Leakage method is the most linear method to detect surface seams. This method is the most accurate method when a particular seam inspection depth threshold is required. It works with Ferromagnetic materials only. MultiMac® electronics with a Rotomac® Eddy Current Rotary system can detect longitudinally oriented surface defects such as seams, laps, and scabs. 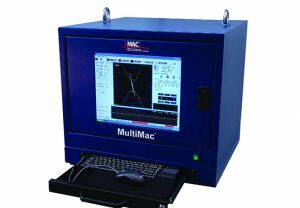 When used with encircling coils, MultiMac® can detect shorter defects, pits and some subsurface anomalies, depending on test settings and the nature of the bar. The MultiMac®, with rotary probes and high sensitivity, can find defects as shallow as .2mm deep. The Rotoflux® AC extends this capability to even smaller defects and tests hot rolled bar from 10mm to 180mm in diameter. It can also be used to inspect surface conditions on black bar, where shallow defects are usually quite difficult to detect. 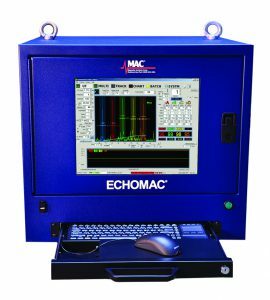 When internal defects are a concern, an Echomac® Ultrasonic test can be added to the system. Depending on throughput requirements, MAC can supply ultrasonic capability in the form of either an Echomac® Rotary or Phased Array system. 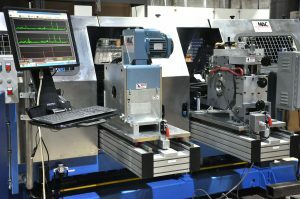 Look at a multi-test system delivered to a customer inspecting hot rolled bar. 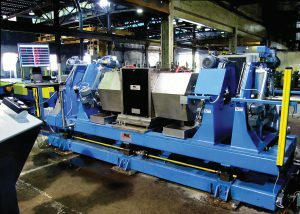 Gives customers the ability to test products such as hot rolled bar with surface conditions that used to make finding shallow defects very difficult, if not impossible. 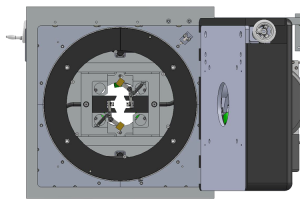 Triple guide roll assemblies on incoming and outgoing sides swing open to allow easy access. A convenient scale on the Headplate indicates the set diameter. Until recently, Eddy Current rotaries were commonly used to find surface detects, usually down to 0.15mm or 0.2mm deep. Now, Alternating Field—or AC Flux Leakage—Testing has extended this capability to finding even smaller defects, as small as 0.1mm deep. Highly sensitive AC technology is especially well suited to test hot rolled black steel bars and rods that have surface conditions which used to make finding shallow defects very difficult, if not impossible. 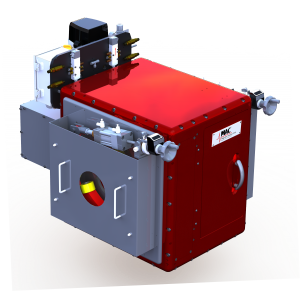 AC technology uses two encircling magnetization yokes and alternating current flows. 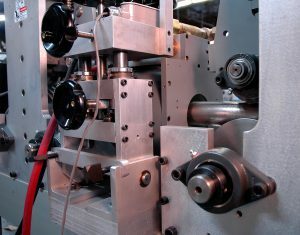 Without contact, these yokes magnetize the test material in the transverse direction. The magnetic flux is concentrated on the material’s surface and is particularly sensitive to minor surface defects since the operating probe examines a very small portion of the entire surface at any one moment.